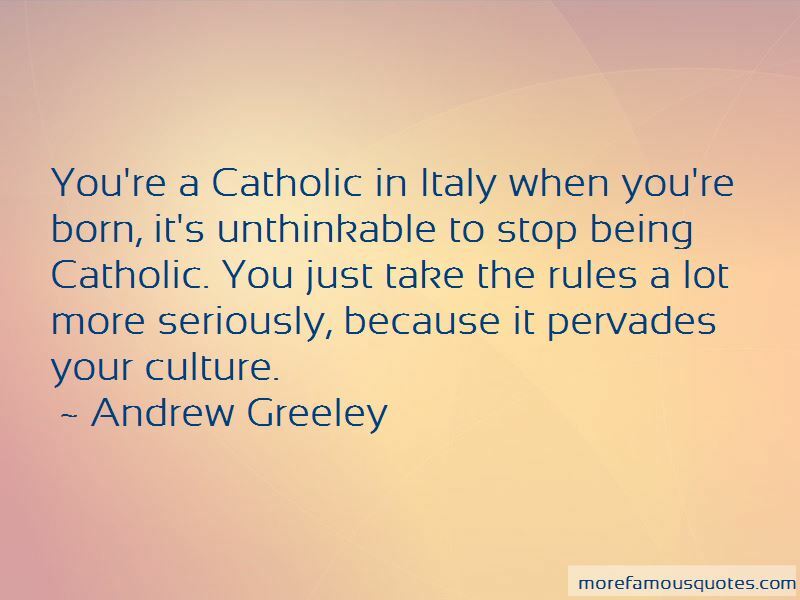 Enjoy the top 45 famous quotes, sayings and quotations by Andrew Greeley. The leadership lost its nerve. Instead of taking the lead in the reform movement ... they pulled the plug on it. They tried and are still trying to return the church to the dry ice of the previous century and a half. There is an electricity about a friendship relationship. We are both more relaxed and more sensitive, more creative and more reflective, more energetic and more casual, more excited and more serene. It is as though when we come in contact with our friend we enter into a different environment. It is possible to begin again. It is hard, and we never do it perfectly, but it can be done. God draws straight with crooked lines. 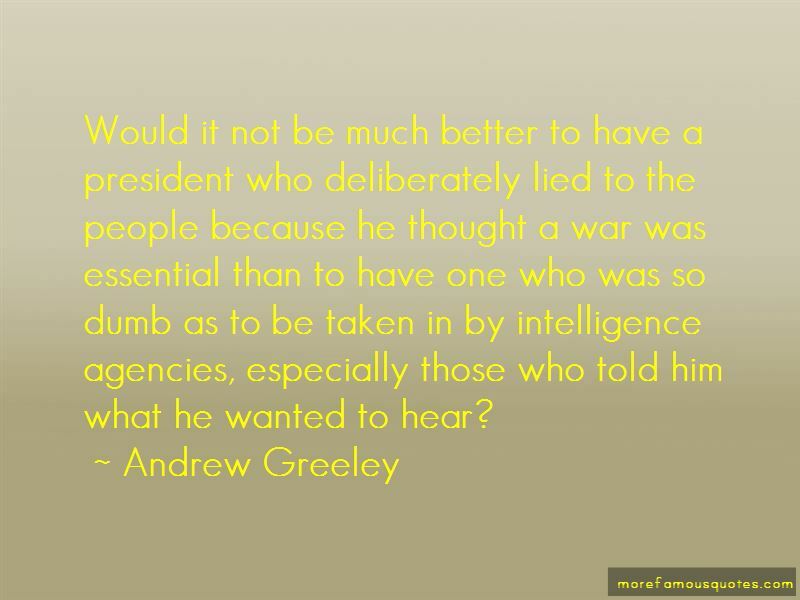 Want to see more pictures of Andrew Greeley quotes? 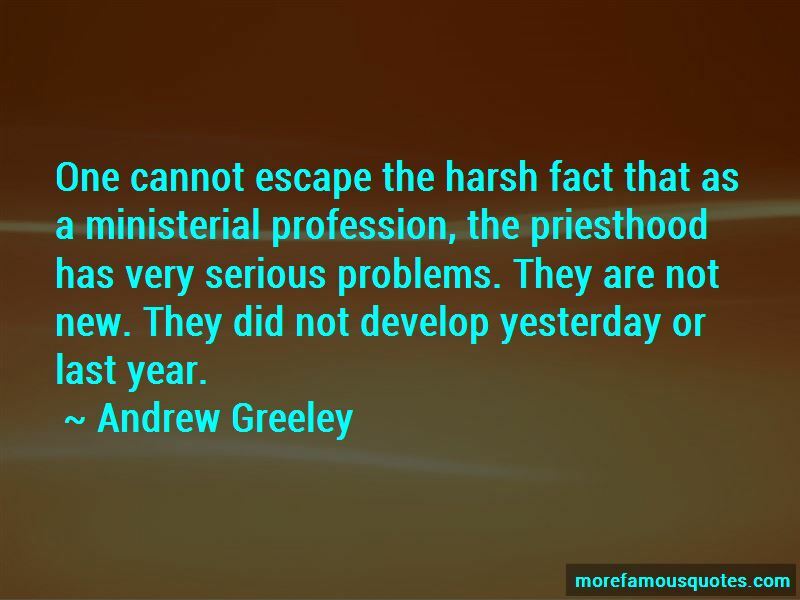 Click on image of Andrew Greeley quotes to view full size.